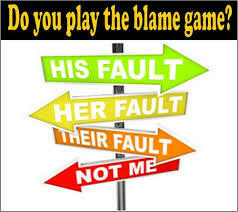 The Blame Game is the game that you will always lose. The moment you blame someone or something else for where you are in your life is the moment you give away your power, your ability to win, and thus the trajectory/course of your career and life. Look all around you my friends. More often than not, the people that consider themselves unhappy or not as successful as they think they should be are the same ones that spend an enormous amount of time and energy blaming others or things for where they are. When I was a “blamer,” I started to realize that I was losing control of my career and life because I was becoming dependent on others for my success and happiness. When I decided to stop doing that – I could then actually DO SOMETHING about fixing things versus waiting and hoping things would get better. I used to get jealous and blame others back in the day when my peers were given more opportunities or promotions before me. I decided to stop doing that. Instead, I focused that energy on how I could become so indispensable and valuable to the marketplace that everyone would want me to work with/for them. I used to get frustrated easily and find fault elsewhere when something went wrong with the plans I had for my career and life. Instead, I realized that failure/mistakes were a part of the process – I began to celebrate and embrace them and apply the lessons learned on my next step in my journey. I used to blame other people for my lack of knowledge, understanding, or how to do something. 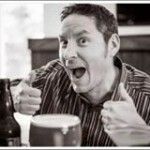 Instead, I took 100% responsibility for own development and growth, especially in areas of my interest and strengths. I used to join in on the negative gossip, blaming, and hearsay of the world. Instead, I became a “good finder” and a force of positive energy. I used to think that it was the other person’s fault if a relationship I had wasn’t working the way that I thought it should be working. Instead, I focused on becoming the best man/human being that I could be by appreciating and understanding everyone’s journey and stories in life. I used to get disappointed, find fault, or get frustrated with my kids if they weren’t able to say or do the “right” things or accomplish something. Instead, I focused my energy on what my kids are doing “right” and how I can continue to be their raving fan and help pull their natural gifts and talents out of them even more. I could go on and on my friends – you get the message. Don’t leave your success and happiness to chance any longer. Stop the Blame Game. Take 100% responsibility for deciding where your career and life is going. Take 100% responsibility for putting the needed work in every day to make progress. Take 100% responsibility to stop doing the things that are hindering your journey. 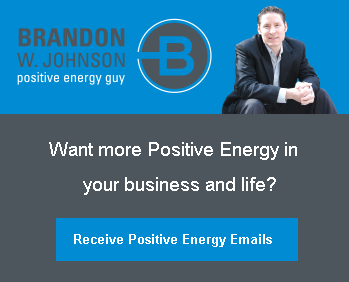 Award-winning Author, Speaker, & Trainer (more importantly, a loving husband, father, son, brother and friend), Brandon W. Johnson, a.k.a., "Positive Energy Guy"